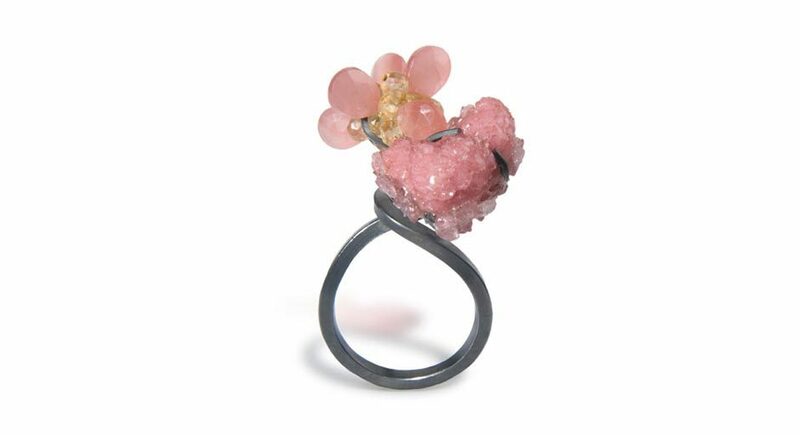 Donna Brennan is a London based contemporary jeweller specialising in unique, sculptural jewellery which blurs the line between fine jewellery and fine art. Initially fine art trained, her close affinity with sculpture led her to complete a BA in Fine Art with Distinction at RMIT University, Melbourne, Australia, majoring in Goldsmithing, with Scuplture as her minor. Upon graduation she was awarded a DAAD Scholarship for Post-graduate studies in Germany. 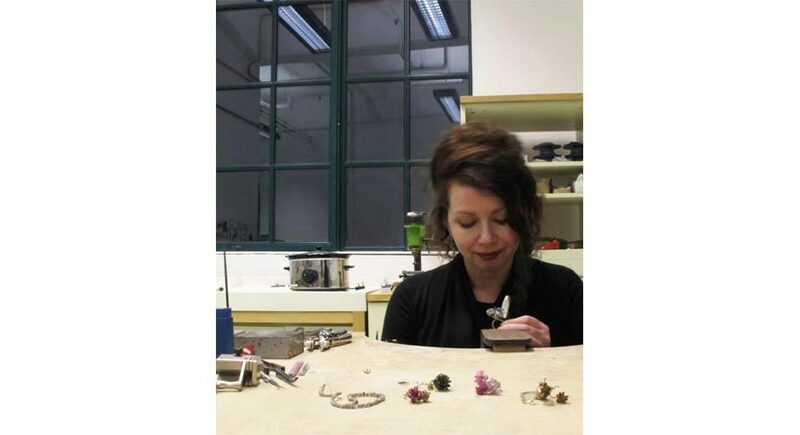 Brennan completed an MA in Goldsmithing with Distinction from the Royal College of Art, London in 2010. Her extensive training across a number of artistic disciplines has resulted in a cross-disciplinary approach, resulting in strong, sculptural forms which has informed Brennan’s work throughout her 20 year career as a jewellery artist, and now also encompasses a return in recent years to painting and photography. 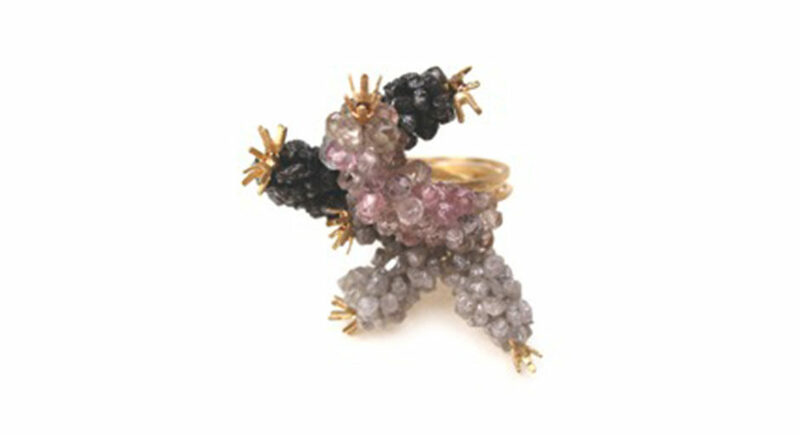 Her work typically features sculpturally wrapped rings hewn from 18ct Gold, clustered with an assemblage of precious or semi-precious stones, fashioned to act as a beacon for the interplay of light. The abundance of unique nature surrounding Brennan while growing up in her native Australia has proved to be an instrumental influence in her organic nature / artifice aesthetic. The traditional language of jewellery re-configured in a contemporary context, is key to her work – Tradition with a Twist! Brennan’s work sits in the collections of the Museum of Contemporary Art (SM’s) ‘s-Hertogenbosch, The Netherlands, and the Alice & Louis Koch Collection in the National Museum, Switzerland among others. She is the recipient of a prestigious Australia Council Award for the Arts. Her work has been published in numerous international books and publications including Vogue, Elle, Crafts, and FT “How to Spend It”, along with a forthcoming article in Craft Arts International. Solo exhibitions include the Museum of Decorative Art in Dresden, Germany, Jewelers’ Werk Washington, and Galerie Marzee, Netherlands, who also regularly show her work at “Collect”, Saatchi Gallery, London. She has participated internationally in group exhibitions including the Norton Museum, Florida, Museum of Decorative Art in Cologne, Germany, and the Kunstmuseum, Duesseldorf, Germany. For the latter she also co-curated the exhibition, produced a catalogue and organised a symposium. 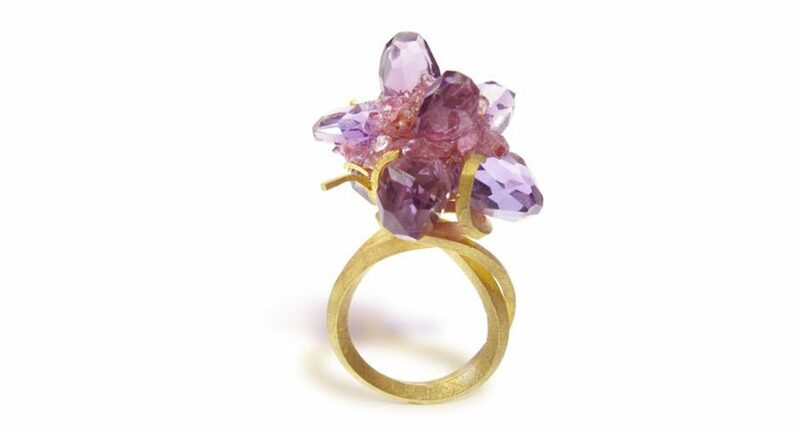 Recently, her work was showcased for the first time at the Goldsmiths’ Fair, London, and included in “Nature by Design”, an exhibition organised by the UK Friends of The National Museum of Women in the Arts, Washington D.C. in London.